I've been meaning to read a book in this series for a long time but never got round to it. 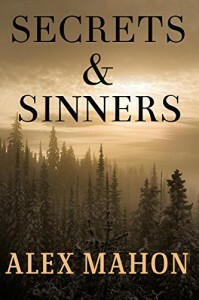 I'm glad to tell you that "Secrets and Sinners" by Alex Mahon was much more than I expected. What I assumed would be a mere 'cute' cat detective story had a great mystery with a solid plot and some secrets and surprises taht I had not seen coming. The main character is very likeable and makes for a great narrative voice. Although I came late into this series the book can be read on its own and has plenty to offer to its readers. Very good and highly recommended.